John Fuder will lead a forum on neighbourhood mapping April 7. “Our neighbourhoods are in a continual state of change. God is sending the nations to our cities and as Christ-followers embedded in local churches we are, at times, overwhelmed in how to respond.” Dr. John Fuder will provide some guidance April 7, as he leads World Vision’s Heart & Soul of the City Church Leaders Forum at Cariboo Road Christian Fellowship in Burnaby. 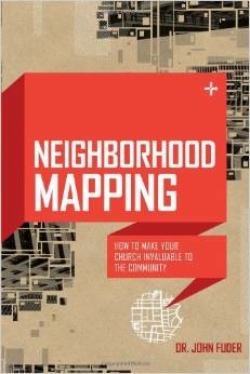 Fuder will draw heavily on Neighborhood Mapping: How to Make Your Church Invaluable to the Community (Moody Press, 2014). Following is an excerpt from that book, posted by permission. As we start unpacking exactly what neighbourhood mapping, or community analysis, is and how to do it, let the following step-by-step process guide your journey. . . .
Find an individual who is a gatekeeper, an insider, a “[person] of peace.” (Luke 10:6) This is someone who will let you in to his lifestyle or subculture. He is an expert who can teach you about his journey as “lived experience.” She is a model (albeit imperfect!) of another belief or practice and can connect you to that world. You may not always “stay on script,” but it is helpful to work from an outline. You could apply the same categories already provided and then adapt the questions (see Appendix 1) within them to meet your specific needs. Depending on the formality of your community analysis, you will in all likelihood end up with some form of “field notes.” A crucial step, often neglected, is to examine your data for holes, patterns or hooks. What missing pieces could your informant fill in? What interests, activities or values are recurrent themes? Is there anything you could use to enter your informant’s world more deeply? What scriptures speak to the information you are discovering? What does the Bible say about the activities, lifestyles and beliefs you are exegeting or reading in your neighbourhood? What would Jesus do, or have you do, in response to the needs? A biblical framework is your strongest platform on which to mobilize your church/ministry/school to action. Your informant can act as a “culture broker” to give you entry into the additional lifestyles and subcultures within the broader community. As you learn to “read your audience” (become “streetwise”) and develop credibility in the neighbourhood, you can leverage those relational contacts into greater exposure and deeper familiarity with the needs in your area. As your awareness of the community grows, you will invariably feel overwhelmed by all there is to do, missionally speaking! You do not have to reinvent the wheel. Is anyone else working with that audience? Can you partner with another church, ministry or agency? With whom can you share and gather resources and information? With your newly acquired knowledge about your community, what do you do now? Plant a church? Start a new ministry? Refocus your current programs? Much of your response will depend upon your personnel and resources. But you are now poised to do relevant, kingdom-building work in your community. 1. John Fuder, A Heart for the Community (Chicago: Moody Publishers, 2009). 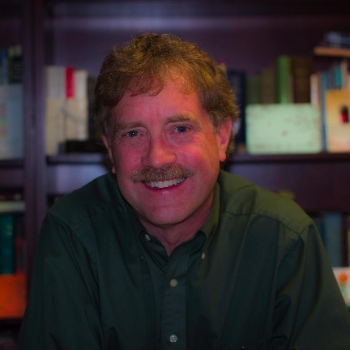 on the World Christian Movement, in which Brewster wrote a chapter. The following questions can be a guideline for you as form a life history of the individual with whom you are conducting an interview. Do not be bound by the subjects or order in which they are presented. Follow where you see the respondent’s interest. 1. Who is in the family? What is the order of their birth? 2. Can you describe a specific incident which would characterize your relationship to your parents? Your sisters and brothers? 3. What were the most important goals of your parents for themselves? For the family? For you? What are your goals for yourself? For your family? 4. What are some of the most memorable family occasions in your life? Describe what happened and why it is special to you. 1. Where did you live? Tell me something about the place and the people. 2. What are the most memorable places and event in your home and community? 3. What kind of things happened at those places that are special to you? 1. When you were growing up, what events do you remember that were most satisfying to you; you achieved a goal, or something happened which pleased you very much? 2. What happened on those special occasions? Who were the important people who helped make that happen? What meaning do these occasions have for you now? 3. What events did your family observe in your life and in the life of others? i.e. deaths, marriage birth, etc. 4. How did you and your family members participate in these events? What meaning did this have for you? 5. Tell me your personal story! What were the key events in your life? 1. Who were special friends? How did you choose these people as friends? 2. What made these people special for you? How did you help one another? 3. How do you communicate with these people today, and about what subjects? 1. What did you learn about gods? How did this relate to your family’s interest? 2. What does your family believe about God and the supernatural? 3. How does your family cope with illness and disaster? 4. What do you believe about God and about God’s interest and concern about your life? 1. What are your informant’s most important goals over the span of their lives? 2. What are the key interests which preoccupy them at this point in time? 3. What are ordinary interests that compel your informant’s attention, although not central to “goals”? 4. What interest are reflected in your informant’s ordinary conversations? Daily routines? 5. How do informants order personal priorities as they relate to needs and goals? 1. What people and events have been most influential in helping your informant achieve goals and interests? 2. What message do you find in scripture that addresses your informant’s goals and interests? 3. What kind of relationship must you build to get your informant’s interest and attention? For some related articles, go here.